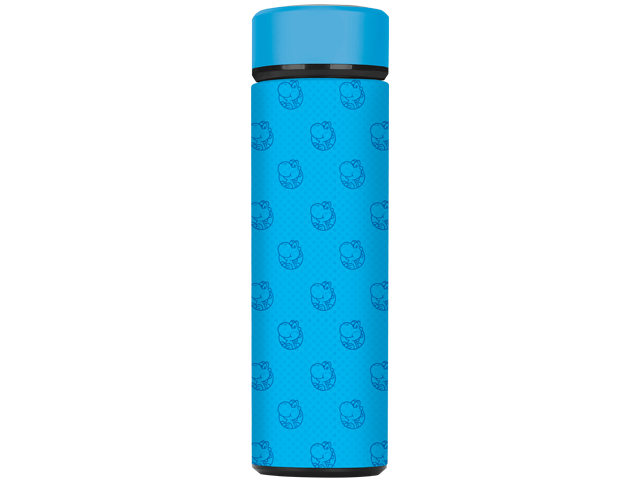 Take Yoshi™ on the go with this vacuum insulated stainless steel travel bottle. The Yoshi from Super Mario Odyssey™ travel bottle is a perfect travel companion for keeping your drink the right temperature. The insulated, stainless steel bottle makes sure you can brew hot tea to brave the frigid Snow Kingdom; or keep yourself hydrated with ice cold water while in the hot dunes of the Sand Kingdom. The screw-on top ensures you won’t need to worry about spilling no matter your adventure.